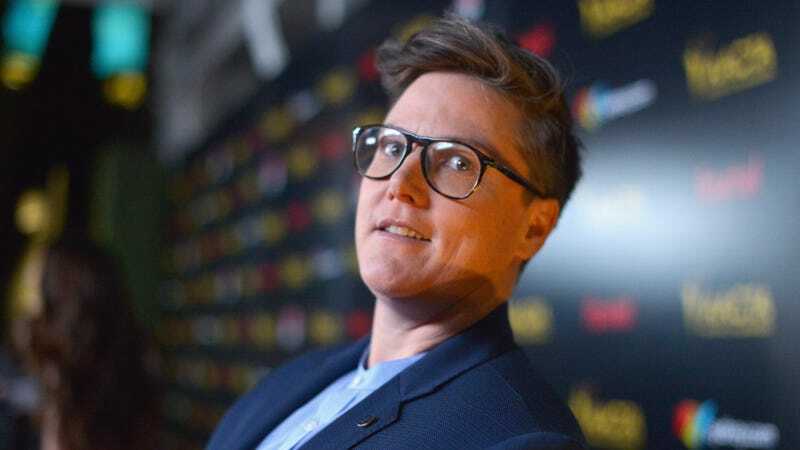 No, Hannah Gadsby isn’t leaving comedy. She said she was during her seismic Netflix special, Nanette, but changing the conversation around comedy has a way of keeping somebody onstage. She’s not lacking in inspiration, either, as the Tasmanian comic is already gearing up for next tour, one that will, for the first time ever, find her headlining theaters throughout the U.S.
Gadsby’s tour kicks off in Australia in late March before heading stateside later this spring. Somewhere along the way she’ll release a book, Ten Steps to Nanette. See her current schedule below, but do know that more dates will be added in the coming months. Tickets for all U.S. dates go on sale on Wednesday, February 8 (aside from D.C., which goes on sale on Februry 13. Buy them here.